Divinity is leading provider of Biometric Attendance System (Biometric/RFID/Face) hardware as well as software systems with improved security, efficiency and high performance management. Attendance is one of the most important factors in all companies. It is the attendance of the employee that shows whether he or she is punctual to office. Also, the attendance plays a prime importance when calculating the monthly salary of the employee. 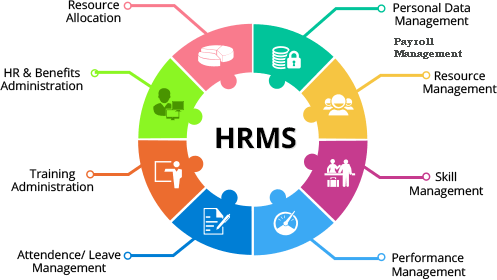 The most traditional way of recording attendance is using the register in which employees have to fill in their in-time and out-time. Apart from this, several companies also make use of a system that allows the employees to punch in and out with their identity card. However, all these systems have their disadvantages. When it comes to the attendance register, employees can enter wrong timings, just to save their attendance. ID card punching is also not full proof as employees can indulge in buddy punching where they punch in early or late for their friends. All these practices can cause lot of monetary loss to the company. The best way to avoid this is to install a biometric attendance system that records daily attendance with the help of finger print and facial recognition. The best thing about this Biometric Attendance System is that employees cannot cheat with their in and out timings or attendance as the biometric attendance system requires the use of unique characteristics of each employee. 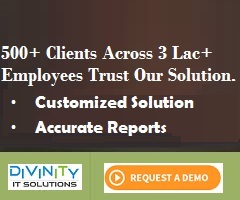 Divinity IT Solutions is a company that offers biometric attendance systems to companies and organizations who want to record their employees' attendance accurately. The biometric attendance system has a software that encrypts the data it collects. When the system is installed in an office, each employee has to scan and register his or her finger print or face. This data is encrypted and saved in the software and is used as a matching point by the system. So, when the employee punches in with his or her finger print, the data is encrypted and compared with the already recorded data. If the data matches, the attendance of the person is approved and recorded. •	The best thing about this system is that it is accurate. It records the exact time when the employee entered and left the office. •	There is no chance of fraud or wrong attendance marking by the employees. It is not possible to use anyone else's finger print to punch-in and punch-out. •	It is quite fast and saves a lot of time too. Employees do not have to spend too much time waiting in line to record their attendance in the register. •	The attendance data collected in the biometric attendance system can be used for the payroll purposes. The monthly attendance data can be transferred to the payroll software easily, at the end of the month. It can be easily said that the biometric attendance system is easy, fast, safe and efficient too. If you are an employer or the owner of your company, you can get rid of the attendance woes by installing this system in your office. You may find that installing this system is an expensive affair. However, consider it as a long term investment. With this system, tracking attendance becomes easy. Hence, employees would not indulge in cheat practices like entering the wrong timings or punching in for their friends. This would save you a lot of money. You can contact us at Divinity IT Solutions to know more about the biometric system and which one would suit your company's needs in the best possible way.